Niles Hollowell-Dhar and David Singer-Vine were just sophomores at Berkeley High School when they formed the Cataracs in 2003. Deriving their name from a Snoop Dogg lyric (“Smoke ‘till your eyes get cataracts”), the duo rose to Bay Area fame as a definitive force in the hyphy movement. After their success, they had to make a large decision: finish college and graduate or follow their dreams. The duo quickly moved to Los Angeles to pursue their music careers. With a fresh perspective and in a new city, the Cataracs deviated from their hyphy origins and transitioned into electronica and pop. Just seven years after their humble beginnings, the Cataracs produced and rapped in Far East Movement’s No. 1 single “Like a G6.” Local radio stations and international blogs featured their quirky and eccentric party anthems, catapulting the group to sold-out shows and worldwide recognition. 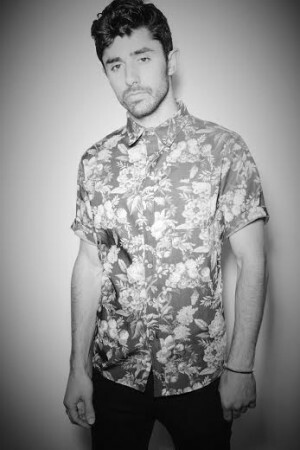 Even though Singer-Vine is no longer making music, Hollowell-Dhar continues to produce music as the Cataracs. The Cataracs caught up with The Daily Californian to discuss the future of the Cataracs and pop music. The Daily Californian: Pop music is converging at the intersection of hip-hop and electronica. You have songs that use hip-hop drums and electronic synths. Do you think that this is the general direction pop music is heading to right now? Niles Hollowell-Dhar: I think so. I mean, nowadays, a lot of pop music utilizes both electronic and hip-hop, but it is used repetitively. Many popular songs nowadays just use the same chords. It is the direction music is heading to. People want to party. People want to dance. It’s what sells. DC: Now that you are a solo artist, is your creative process any different than before? NH: It’s a little bit different now. David handled most of the vocals. With him now gone, I’ve shifted to production mode. In that sense, it hasn’t changed that much because, in the duo, I was the one producing. DC: Would you consider yourself more of an EDM artist or a hip-hop artist? NH: (The Cataracs) started out as hyphy music. Our base will always be in hyphy music. That’s what got us famous. But I definitely feel more connected with my hip-hop roots. (Hip Hop) is where we started. DC: In terms of The Cataracs, what should we expect for 2014? And what are you excited to release this year?